We offer luxurious Rolls Royce Vintage Limo Services in the GTA since 1985, let us take care of your any special occasion and arrive with style with our fleet of Rolls Royces and Bentley. Rent our special Rolls Royce / Bentley Vintage limo for Weddings, Anniversaries, Proms, Night out and more. 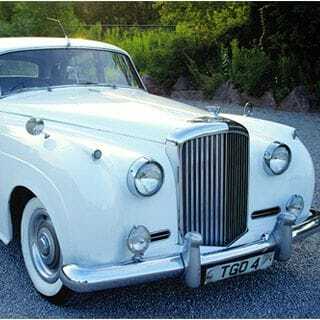 Let us turn your wedding or special occasion into a day to remember with this vintage 1956 Bentley. Our vintage 1949 Rolls Royce motorcars are rare and have unique histories.